The pup and I took a long moon walk tonight. 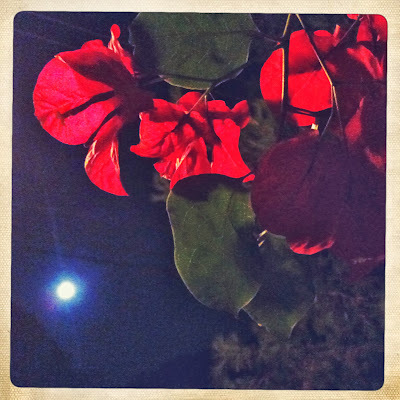 A bright full moon and the last eclipse of the year...I needed to bathe in that celestial light, to be in that energy. It became an expedition, an evening nighttime photo walk, an effort to document my date with Mr. Moon. In astrology, eclipses are said to encourage progress when we are feeling stuck, to create bold changes that we cannot seem to make ourselves. The full moon is a time to take action. Any other month, I might have missed it, but this month I've been paying special attention. All signs point to changes coming, things that I cannot avoid. I've been slow in accepting it all. Perhaps this is the Universe giving me the nudge I need. Perhaps this eclipse was just for me. Tonight I breathed in the unseasonably warm night air and contemplated surrender. I thought I had a battle cry left in me, but the howl got stuck in my throat. Instead there was a silent reverence. This is all so much bigger than me, and at the same time it's so much a part of me. 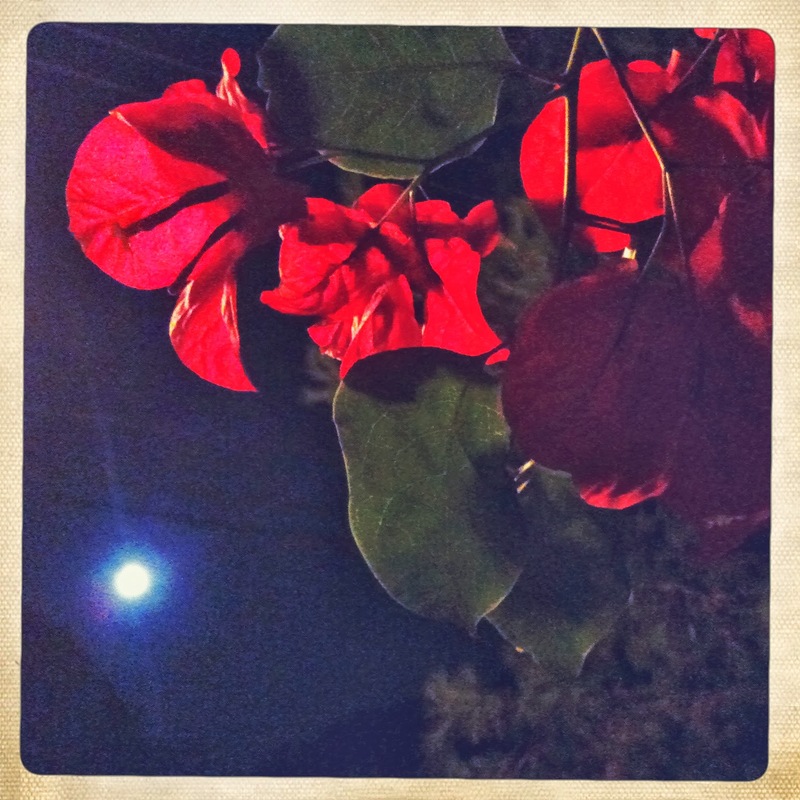 The moon walked me home and gave me these delicate ruby red flowers. We made a date for next month. Wondering where I'll be.